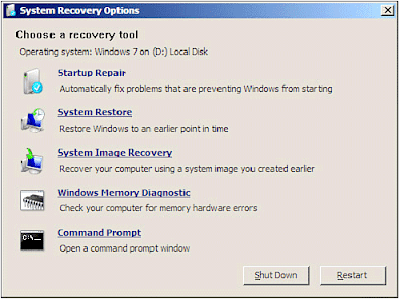 How to Remove GRUB Boot Loader, If your Windows Recovery CD is NOT showing Command Prompt Option. Recently i'have tried to uninstall GRUB from my Windows 7 Dual Boot. My Laptop didn't came with a Windows recovery Disk, but instead i was provided with an option to make Recovery CD from the inbuilt software provided by the manufacturer. I have inserted the Recovery CD in the CD Drive, and booted from it. But it doesn't show the option "Command Prompt" any where. All i can see is the Custom UI provided by manufacturer to recover my Windows. 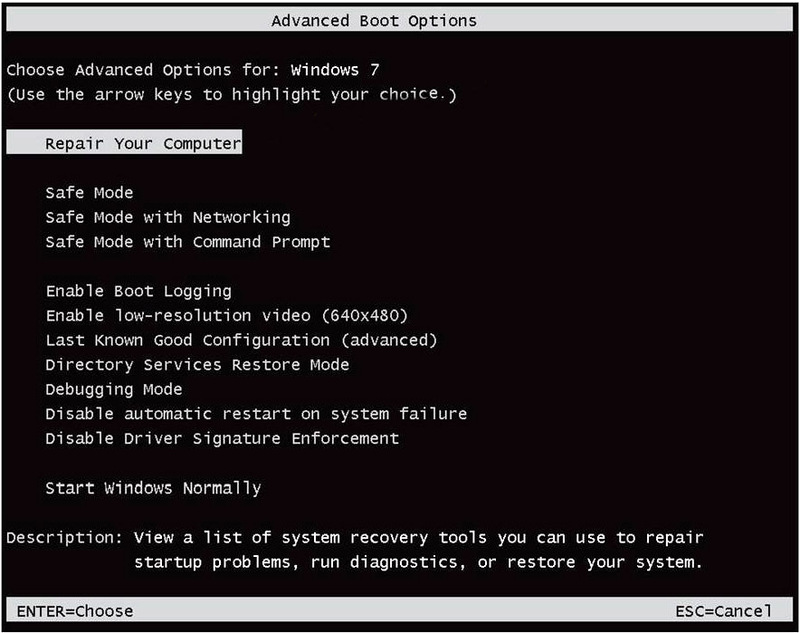 Note: If your see "Command Prompt" as one of the option when your boot from your Windows Recovery CD, then follow the step's on this article "How to remove GRUB from Windows Dual Boot" to remove GRUB from your PC. So, after looking for solution's over the internet. 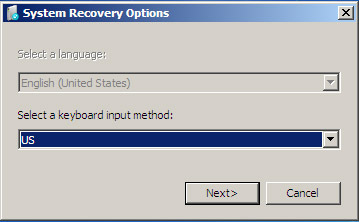 Below is the method, that i used to remove GRUB from my Windows PC. 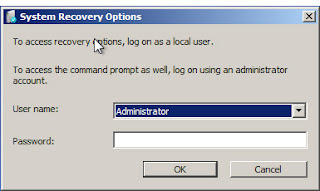 Recovery Console is very useful tool for fixing problems in windows, it can be accessed while booting window's. below are the step's on how to access recovery console and to remove GRUB using recover console. Now, you will be taken to black screen with option as "Repair your computer", select the option and press enter. It will Load a Custom Recovery program ie. 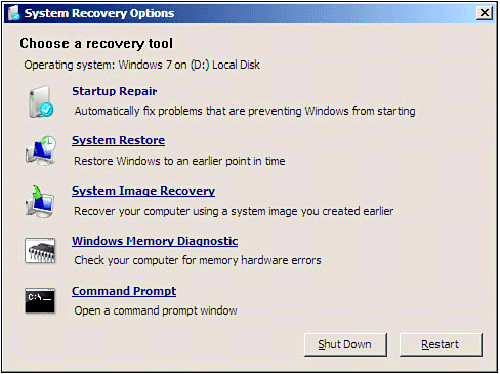 The Recovery tool provided by windows. Now, Click Next after Selecting your Keyboard layout(input method) and language preferences. Next, Choose your Username and Password and click on OK. Note :: It should be administrator username and you should have access to the password. The selected account should have administrative rights. A window, listing several repair & recovery option's should be visible now as below. Choose option "Command Prompt" at the bottom of the window. 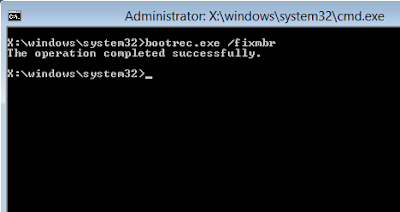 Now, on command prompt type this command bootrec.exe /fixmbr as shown below and press Enter ↵. You will be provided with a response as " The Operation Completed Succesfully " by the command prompt. 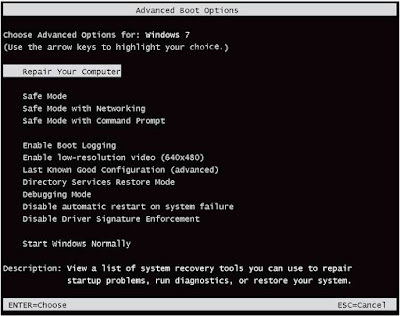 It's Done, exit command prompt and Restart your PC by selecting "restart", it should boot in windows now. If this article is of any help to you, please leave a comment below.